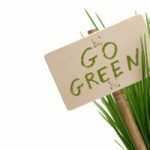 Are you someone that is not sure about what it means to be “Going green?” Do you need to know about Green for business operations in contemporary society? No matter what kind of business you are involved in, whether it is the service industry or industrial sector, you have to have a good comprehension of what Green is and its associated environmental necessities and how this plays a role within your company and the work you do. This online, on demand Six Sigma Green Process Management training program will teach you what it means to be green, why green is important to your business and how to help your company establish, achieve and monitor “Green Goals”. You’ll get the roadmap and tools necessary to get your business on the path to being Green. Upon completion, this program will help you strengthen your organization by understanding, communicating and implementing the core concepts of Green Process Management. Designed for professionals with little or no prior experience with Green or Six Sigma methodologies, this course helps you to understand what Green is, why it is important and gets you started down the road of going Green. The instructor is Sam Windsor, who is a Six Sigma professional who wrote “An Introduction to Green Process Management.” Six Sigma Green Process Management sessions teach students about the standards involving green and specifics. These classes also give attendees a clear roadmap with the necessary tools in order to thrust a business forward in its search to benefit from cost reductions while enhancing its overall public image and augmenting sales by transforming into a real “green” organization. 6 months of access to the training manual in electronic format with the ability to print 2 copies for your own use. Upon completion of the training and passing the comprehensive final exam, you will receive a certificate of training completion. How do we impact Green? Use coupon code “BPI” to save 5% on the cost! "Global corporations are part of the global ecology and are dependent on it. No environment, no consumers in society, no business."